From the school competition of young talents to at No. 4 on the Top Heatseekers chart. 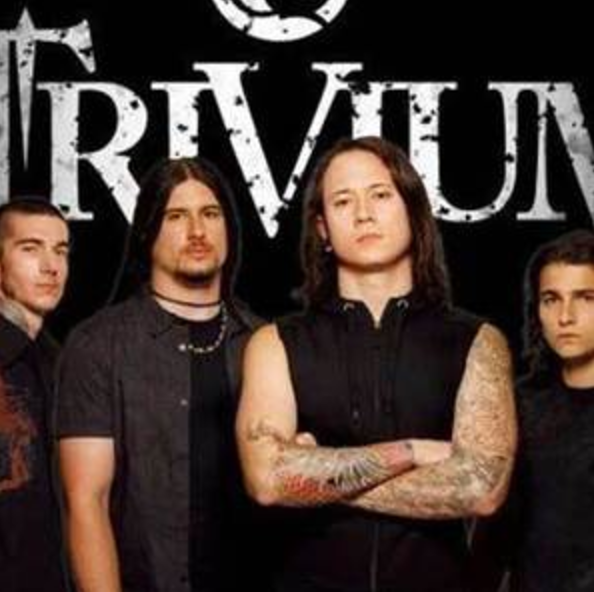 Trivium are an American metal band from Orlando, Florida. The name “Trivium” the members of the group chose because it denoted the intersection of the three ancient schools: grammar, logic and rhetoric. They saw their music in the same way, not limited to any one genre. In 2003, members of Trivium record their first demo, which is of interest to the German label LifeForce, which signs a contract with the band. Trivium go to the studio to tackle the debut album Ember To Inferno. Soon guitarist Cory Bellew joins the band, and a year later the band leaves the bass player Brent Young, and Paolo Grigoletto takes his place, and the band goes on a tour with the Machine Head band. Meanwhile, Ember To Inferno attracted the attention of representatives of the label Roadrunner Records, with which the guys signed a joint contract. Trivium begins to record the album Ascendancy. The album was released in March 2005 and immediately received warm reviews. In the same year there were endless tours with Killswitch Engage, Iced Earth, Fear Factory and Machine Head, performances in Road Rage, Ozzfest and Download in England, which, according to Haifi, were the starting point for the band’s growing popularity. Further Trivium came open up for Mendeed and God Forbid bands. The Crusade album received ambiguous marks, mainly for the fact that Khafy moved away from extreme vocals towards a more pure and melodic, and the music became more like a thrash metal. The enchanting animal vocal and quality hard music mixed with electronics. Disturbed are a heavy metal band, formed in Chicago. Disturbed sold about 50 million copies of albums around the world, released six studio albums and one live album that made them a successful rock band. Vocalist Erich Owalt, guitarist Dan Donegan, bass guitarist Steve Kmack and drummer Mike Wengren played music together under the name Crawl, shortly after changing it to Brawl, since the first version was already “occupied” by another team. The vocalist left the band in 1996 shortly after recording the demo, and the remaining members began to search for a new vocalist by placing an ad in the local newspaper Illinois Entertainer. He was responded to by David Drayman. The Brawl musicians were impressed with the possibilities and stylistic flexibility of Drayman, and the vacancy behind the microphone stand was closed, and the band, at the suggestion of the newcomer, was renamed as Disturbed. After the release of the Ten Thousand Fists CD, the band went on a tour on September 20, 2005. The album debuted in first place in the US. In addition, in the streaming format, two songs “Hell” and “Monster” were available, the high demand for which speaks for the great devotion of the fans of the collective. After recording several demo films, the band managed to sign a contract with the label Giant Records, which released The Sickness. American music lovers enjoyed it so much. Then the well-known “Guy” (the Guy) – the mascot of the group appeared. CD sales grew, and Disturbed were invited to the joint European tour with Marilyn Manson.